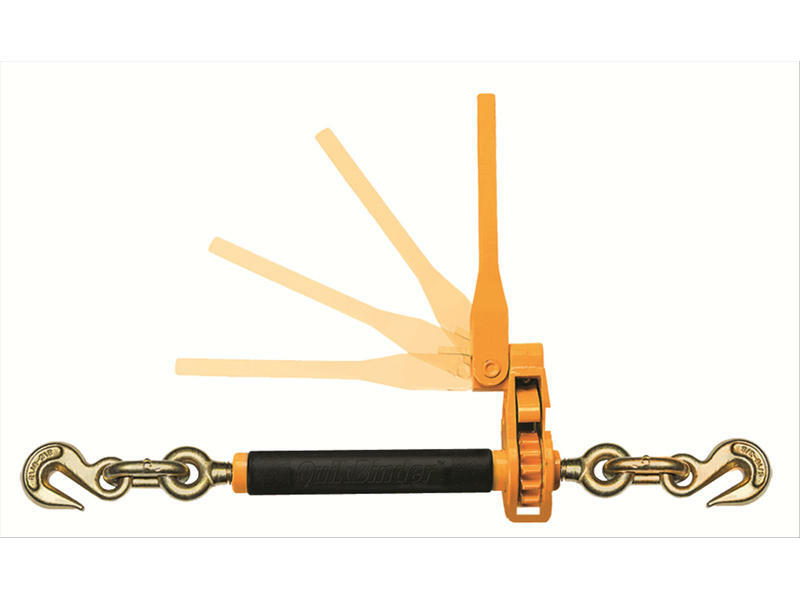 Ratchet-type load binder used with transport chains to secure heavy loads. Grab hooks on both ends. Yellow painted finish. Never exceed working load limit. Not for overhead lifting. Working Load Limit 7,100 lbs. Headquartered in Winona, Minnesota, Peerless operates three manufacturing locations and six distribution centers. The company offers best-in-class products, innovation and custom solutions to a diverse industrial and consumer customer base. The Peerless product offering is grouped into six categories: overhead lifting, below-the-hook and material handling, cargo control, hardware, marine and traction. Peerless is recognized around the world for the premium products brands of ACCO, Peerless, SCC and the patented products provided within each brand.